Protect your Feasterville Trevose, Pennsylvania commercial property by hiring a quality professional commercial painter! Since 1995, Henderson Custom Painting has proudly served Feasterville Trevose, PA for its commercial painting needs. Over the years, we have painted Feasterville Trevose offices, Feasterville Trevose office buildings, and other Feasterville Trevose commercial facilities. Shop around. Compare prices. Add us to your list of companies to research. Simply call (267) 227-0523 for a free written estimate and a list of local references. Once you do, we are confident that you will find that Henderson Custom Painting is the best choice for completing your next Feasterville Trevose commercial painting project. 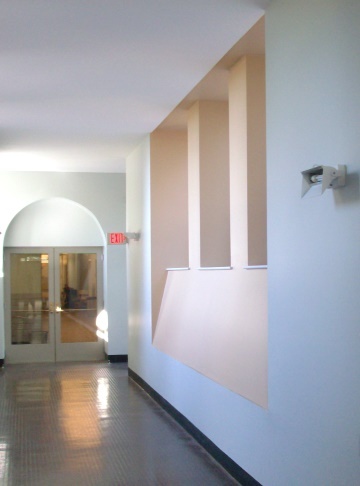 Competence - Henderson Custom Painting has been painting commercial buildings in Feasterville Trevose since 1995. Henderson Custom Painting knows how to paint all sorts of commercial surfaces including sheetrock, metal, wood, and plaster. Your business is in great hands with Henderson Custom Painting's skilled commercial painting professionals. Fair Pricing - Henderson Custom Painting takes pride in being Feasterville Trevose's honest commercial painting contractor. We may not be the cheapest commercial painter in Feasterville Trevose, but we hire only quality employees who are authorized to work in the area, and we stay fully insured. Find out today how affordable Henderson Custom Painting commercial painting services in Feasterville Trevose can be. We Deliver - Henderson Custom Painting prides itself on being on time and within the established budget. Your facility or offices in Feasterville Trevose will be painted to your specifications, and we go the extra mile to make sure you are quite happy with the work! When it comes to cost-effective quality commercial painting in Feasterville Trevose, PA, Henderson Custom Painting is the Feasterville Trevose commercial painting contractor businesses trust.